Natural disasters destory cities, towns and villages, leaving animals sick, injured and starving. Help us help them. We're working tirelessly to save the animals who are so much a part of the lives of people who have already lost so much. The animals we’re working to save are beloved family pets, injured livestock, and strays with no one else to look out for them. Help us bind wounds and broken bones, provide food and clean water, reach animals in remote locations and vaccinate animals to prevent the spread of disease. Help us help them before it’s too late. Donate now. "Seeing the impact of the volcano here is devastating. 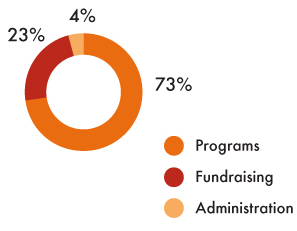 The government and humanitarian agencies are doing a fantastic job. 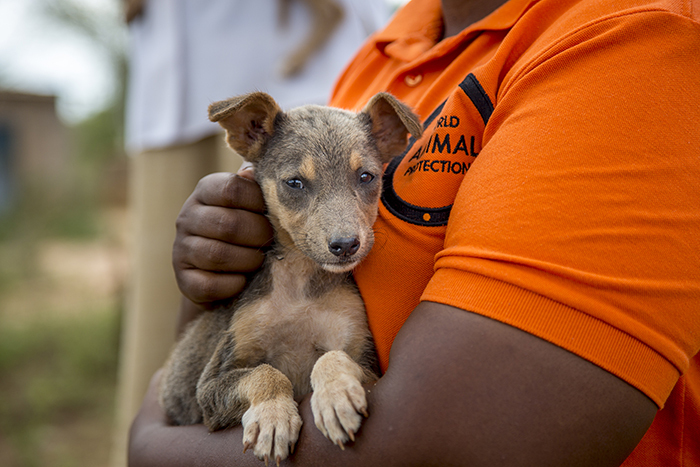 Right now, our work is to help those animals in dire need; injured, without food or water and at high risk of disease. Our aim is to help those who are in shelters first and once safe to do so race to those who have been left behind." - Gerardo Huertas, Global Director of Disaster Management at World Animal Protection during the 2018 volcanic eruption in Guatemala. For more than 50 years, we've helped governments and communities prepare for disasters and responded quickly in the face of catastrophes. With the help of people like you, we've protected the lives of millions of animals over five decades. Help us protect the lives of countless more. Donate now. 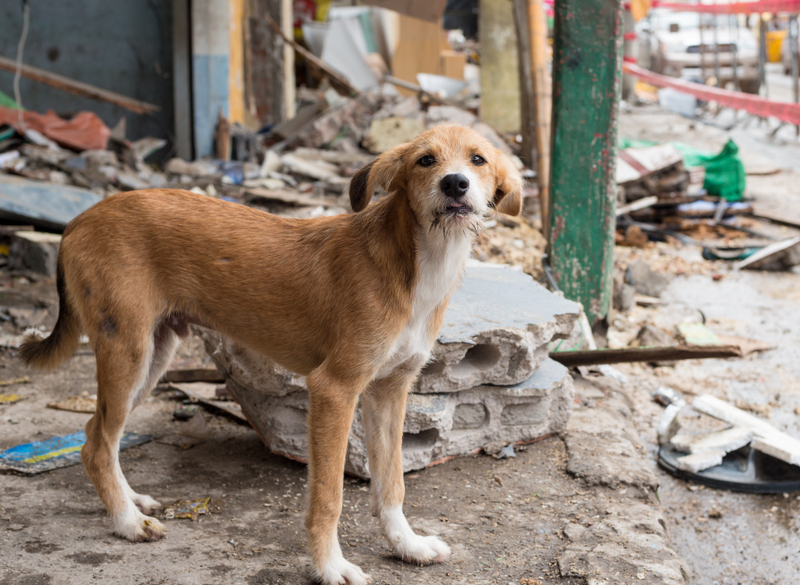 With your support, we can be there for all of the animals impacted by natural disasters, from beloved family pets to the livestock families depend on for their livelihood. Help save lives. Donate now. In April 2016 the west coast of Ecuador experienced a 7.8M earthquake. This dog returned to the ruins of his home and was feed by World Animal Protection. Sign up to donate monthly and you’ll stand side by side with the animals of the world on a regular basis. You’ll save the lives of more animals when disaster strikes, ease the suffering of more animals, bring healing to more animals, make the world a safer place for more animals. Become an Animal Protector now. Not now, please complete my one-time contribution.